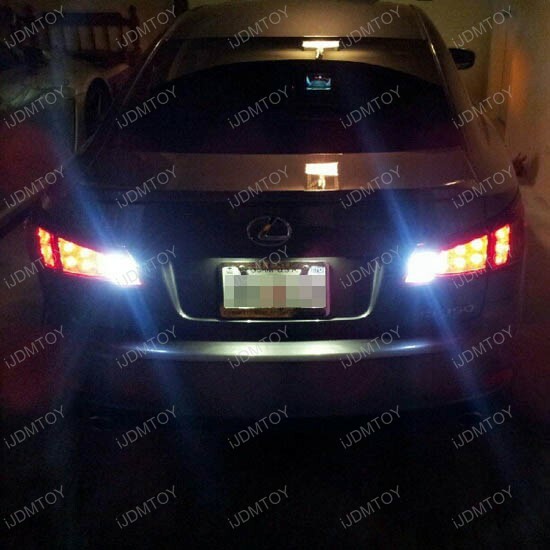 We have a new LED bulb in our “High Power” LED series; it is our 8-SMD 2835 High Power T10 LED backup reverse bulbs on a Lexus IS. These lights are meant for use as back up/reverse lights only. We do not recommend using these for any other application except the reverse lights. 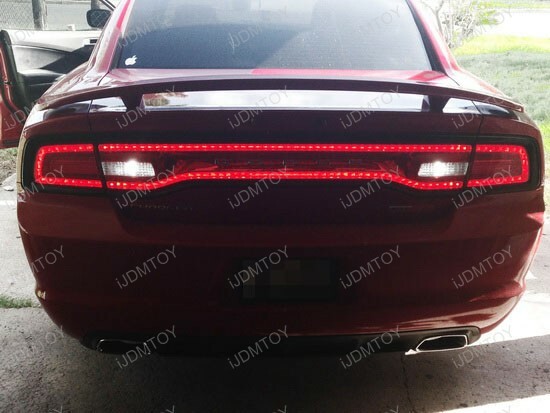 Their superior design and output makes these a great choice for reverse lights when backing up to see what is behind you better. 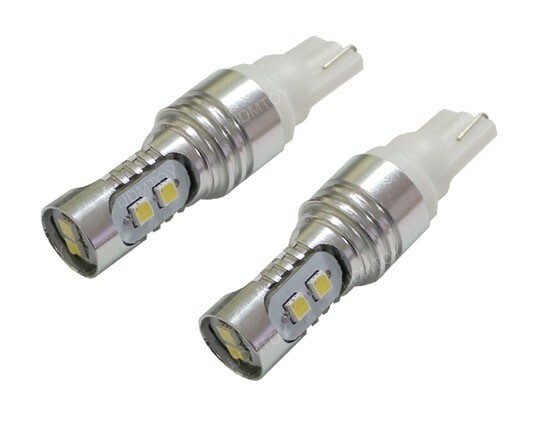 These LED bulbs are sold in pairs and will fit the T10/T15 bulb size which includes 921, 912, 906 and more. Each set comes with two LED bulbs that are equipped with 8-SMD 2835 High Power LED diodes that are made by Samsung. Each 2835-type Samsung LED diode produces 0.5w each and there are 8 per bulb producing 4w per bulb. Each LED bulb produces approximately 400 lumen when operating at 12v. 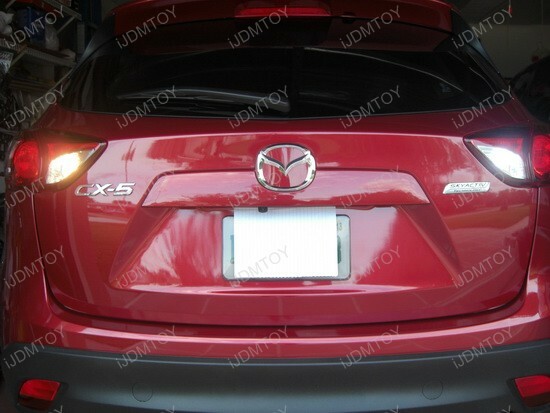 These LED backup lights are only available in 6000K Xenon White to provide the most light. These bulbs are also non-polar so they can be installed in either direction and it will still light up. 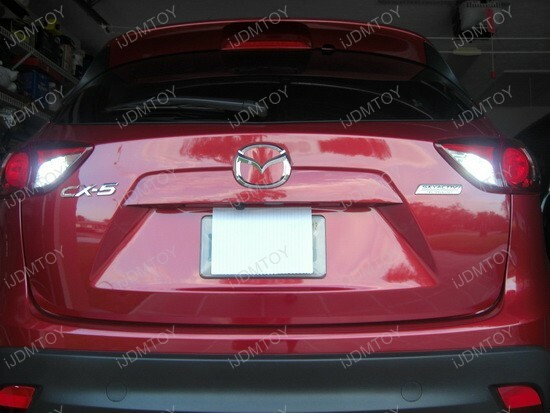 These bright 921 LED bulbs are the perfect choice for the reverse lights. 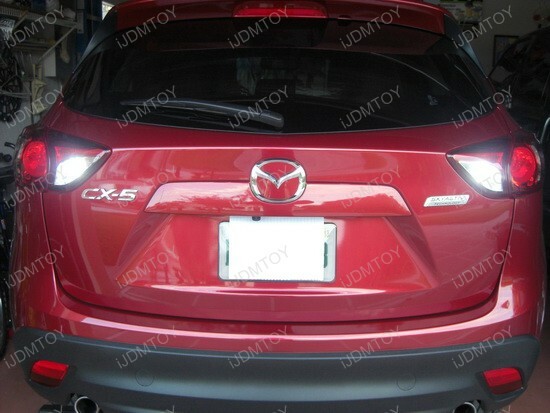 Look at this Mazda CX-5 – the crossover’s handsome styling backed up by the aftermarket LED Backup Lights from iJDMTOY is a great combo. One risky reverse can lead to some unexpected consequences, so illuminating the rear road with such bright backup lights can keep you away from troubles. 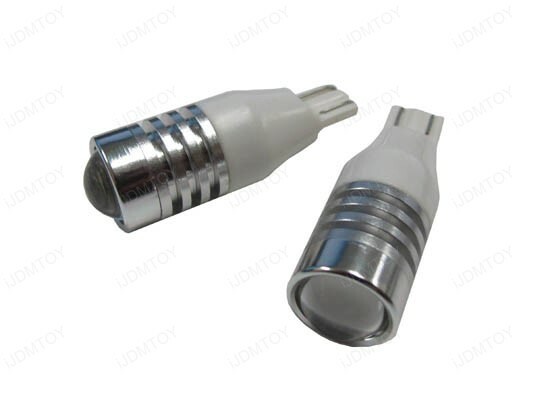 Each Plasma High Power T10 LED bulb is packed with an array of 1 piece 2.5W high power LED emitter on top and 4 pieces 2.5W high power LED emitter all around, pumping out approx 500 lumens of dazzling 6000K Xenon White color, consuming only 3W. Plus, the newly designed 360 degrees bulbs deliver very impressive maxima lighting output. 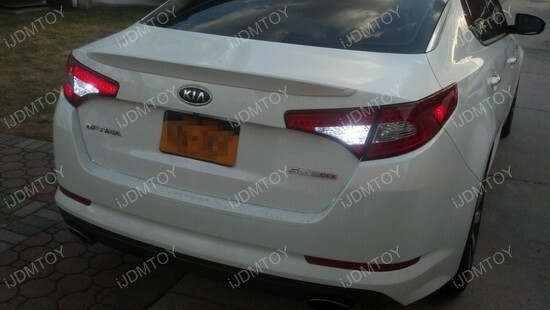 If you have black-out tint for tail lights, you can still see the light very well. 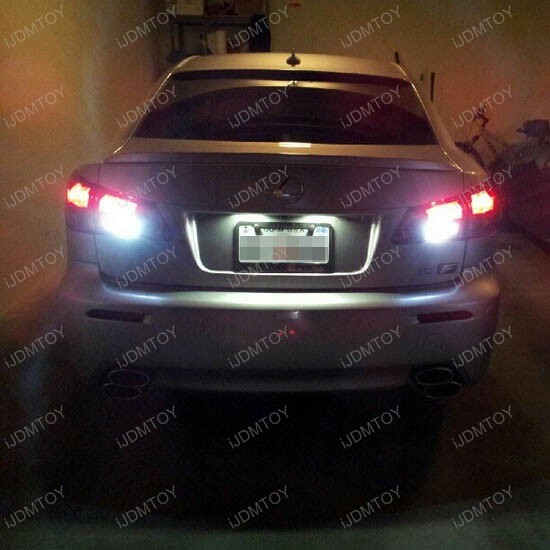 Installing this replacement is a piece of cake – replacing the stock 168 194 2825 W5W 912 921 904 906 bulbs, it will fit in almost every car out there. Just locate the stock reverse bulb, plug it out and plug in the new one. Make sure to ask a friend to check whether these LED Backup Lights work when you switch to reverse just before you put them back in place and check the brightness once again in the nighttime. You just can’t miss the huge difference between your stock backup lights and these clear and brighter LED lights. 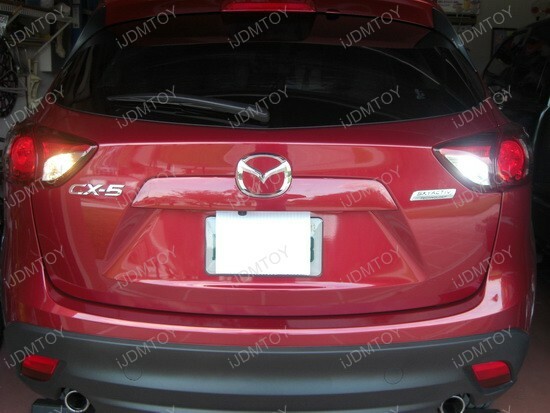 The Mazda CX-5 Backup LEDs on this Mazda CX-5 we talk about, offer stunning appearance and enhanced safety when backing up at night and it’s good to think about getting them, so, whether you’re crawling midnight roads or dark alleys, delivering a powerful burst of illumination of the places you’re reversing into, could be crucial. 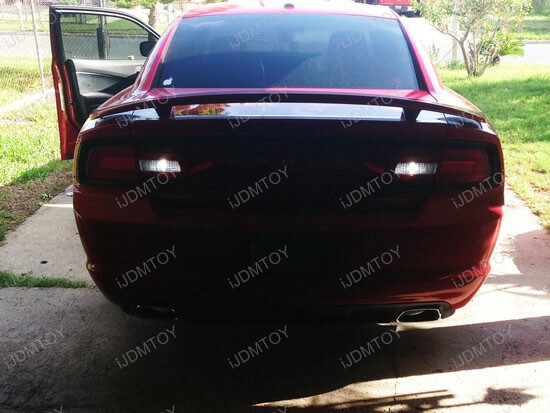 What’s more, if you are looking for a way to show-off your ride, go with the featured LED Backup Lights. 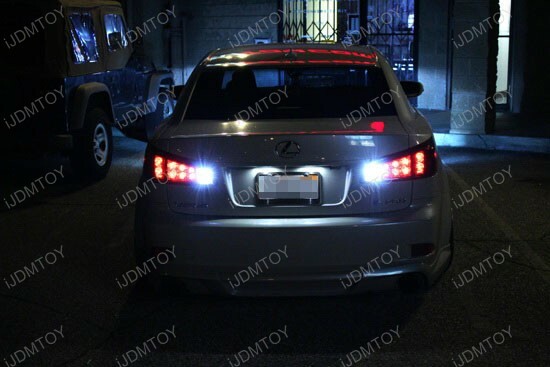 Today’s favorite is this sporty 2010 Lexus IS350 equipped with High power Backup LED lights, owned by Dennis from iJDMTOY. It seems that Dennis really care about his ride and the featured High Power Reverse LED bulbs are just one of the many upgrades. However, this improvement is stylish and beautiful, giving this IS very distinctive and unique look. 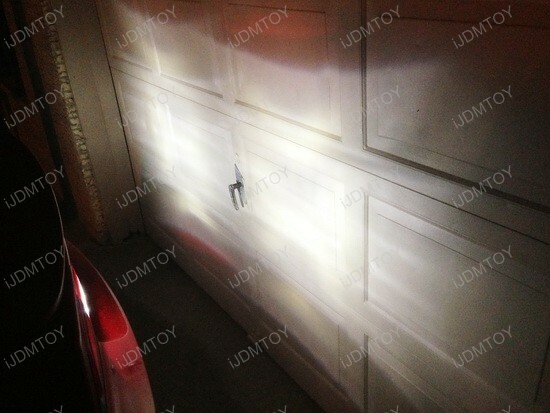 This nice effect is achieved thanks to a pair of two Extreme Bright Xenon White High Power T15 LED Bulbs from iJDMTOY. It’s like having two flagman Surefire LED flashlights on the back of the car. Seriously, this high quality product is a must have – with lighting output approx 500 lum this is about two times the output of Surefire LED LX2 LumaMax flashlight! These High Power Reverse LED bulbs are a piece of art. 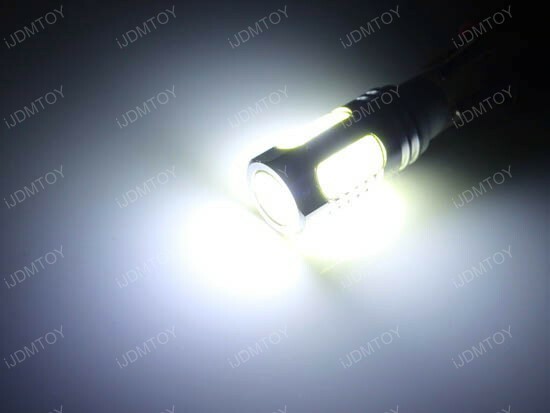 Each bulb comes with x3 optical projector in front of the LED emitter for stunning output and with lifespan about 20000 working hours, they’ll virtually last forever. One thing is for sure – these bulbs are designed for safety when you are reversing and I am pretty sure you want to get people’s attention when you are reversing. 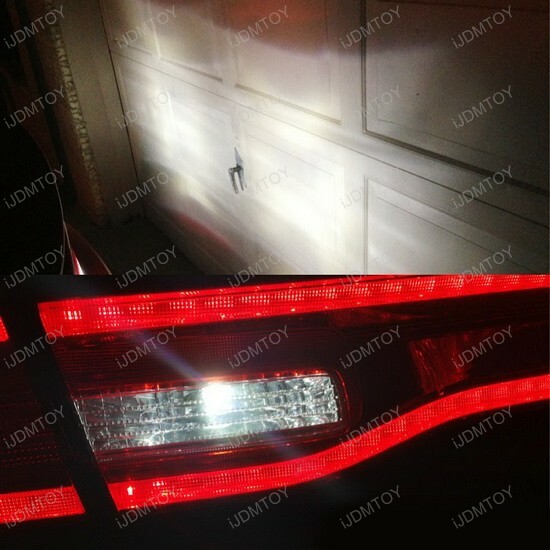 Nobody wants to hit a trash can while backing out and say "I should have got the iJDMTOY’s High power Backup LED bulbs! ", right? That’s why this product is ridiculously easy to install and doesn’t cost a fortune. Please note this bulb is polar sensitive and if it doesn’t light up, simply flip it 180 degrees. 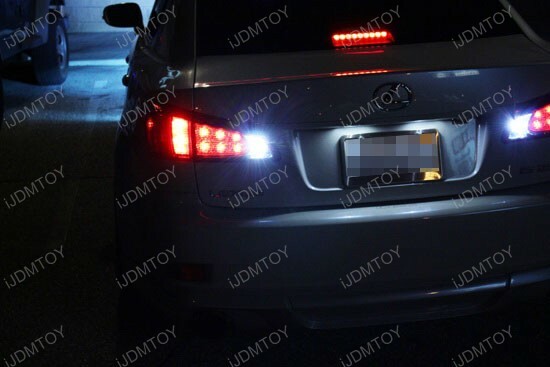 The "hot-salsa" 2010 Lexus IS350 looks better with such simple mod as replacing the reverse lights with High power Backup LED lights. It totally worth the money and improves vision when backing up. What’s more, this is a must have – every vehicle should use LED technology because it is more energy efficient and has longer lifetime than regular bulbs. So, if you want to get your ride pimped out to the hilt, iJDMTOY has everything you need.